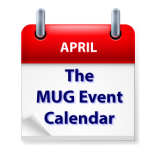 This week on the MUG Event Calendar, David Cox of Tech Talk America will visit a Northern Virginia group, while a Florida group will examine iMovie in detail. A Florida group will cover what you can do with an Apple Pencil, and a California creative pro group will discuss the benefits and capabilities of the new ProRes Raw video format Apple announced at NAB. Los Angeles Creative Pro Users Group – We welcome back Christine Steele who will show us all the new cool stuff just announced at NAB in Adobe Premiere Pro CC 2018. Also edditor Monica Daniel returns to talk on the creative and collaborative process between an Editor and the Assistant Editor that is necessary to bring the scenes to life..